The internet and the men’s fitness mags we read are littered with the basics of how guys can gain muscle – because they’re important. We should progressively overload when we train by adding weight to our exercises each week. We should change our training splits, reps, and sets, in order to avoid the dreaded plateau. We should eat massive meals and have a post workout shake with a 2:1 carbs to protein ratio. We need to recover as fast and effectively as possible. This means a maximum 4-day split when trying to gain lean muscle mass while getting a full 8 hours of sleep every night. Naps are important because they help us release growth hormone – which also helps us recover faster. Lifting heavy weights is important, but so is using a slow cadence on the eccentric contraction. We should have a high time under tension in a workout – but not necessarily a long workout session. By training for more than 60 minutes, we release growth hormone. BCAAs are the most important supplement for skinny guys trying to build muscle. I could go on and on about the basics of building lean muscle for skinny guys, because I’ve talked about them time and time again on this site. We need to know them. The internet is also saturated with articles proclaiming the unconventional, unique, or strange methods that skinny guys need to know about if they’re going to get serious gains. But are there “unconventional” methods of gaining lean muscle mass? Today we’ll look at 5 ways that may have been slipped under the radar, but are very important in your quest to build your dream body. 1. Push or pull as fast as possible. The concentric contraction of a lift should always be done at full speed. Forget about the cadences that call for 2 slow contractions or a slow concentric contraction and a fast eccentric contraction, the best way to build muscle is to push or pull as fast as possible – depending on the dynamics of the lift. If you’re doing a chin-up, for example, pull as fast as you can. Even on the last rep, we’re you’re about to fail, don’t slowly gain momentum, actively explode as fast as possible up, then come down controlled on the eccentric phase. When performing a bench press, explode on the press, then resist on the way down. You may think you’re already doing this. But next time you’re in the gym, really focus on how you’re lifting. You’ll probably notice that you can press or pull faster. That you’re actually not going as fast as you can and that there’s still room for improvement. 2. Pull more than you push. The mirror muscles dominate most workouts, but they shouldn’t. The muscles that make up our back are more important than the chest or shoulders with regards to posture, physique, and power. Even when we’re pushing we’re activating our lats. 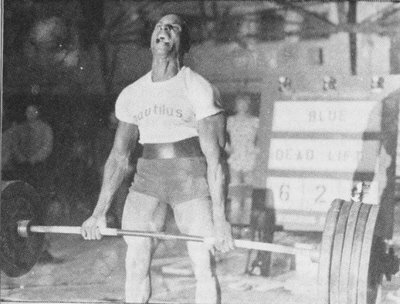 When we punch, deadlift, and throw, our back is involved in the process. If you want to build an athletic physique, pull more than you push. If you want to build the “ideal physique”, pull more than you push. 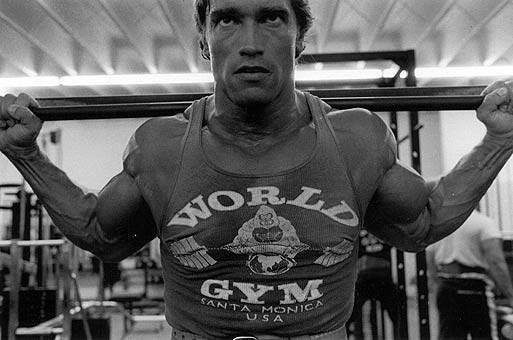 Dedicated more sets to training your lats, traps, rhomboids, and teres major and minor, than any other muscle in your upper body. The result will be a broader chest and broader shoulders, more power in your presses and pulls, and a better-looking and performing body than would exist if you push more than you pull – or even keep it even. 3. Eat white flour, not whole grains. What?! All you’ve heard for your entire life is that you should eat more whole grains and fewer white carbohydrates. But this isn’t true for gaining muscle mass. White flour and “white carbs” like white rice, bread, and the like, are digested faster than whole carbs. We’ll get hungrier sooner eating white carbs than we will eating brown. The nutrition value doesn’t differ enough to make a difference. You should be getting your nutrients from vegetables and vitamins, not from bread. The best time to have a fast carb like white bread or white rice is before and/or after your workout when your body needs carbs fast. Lifting heavy weights alone won’t get you your dream body. But not lifting heavy weights won’t either. The cadences aren’t idea for gaining muscle mass, but the change in weight is. If you’re doing a program that calls for primarily slow eccentric contractions, fast concentric contractions, and a myriad of rep and set schemes, you’re on the right track. But it should still call for some pure heavy lifting or 4-6 reps, done with no cadences, just an all out life. If it doesn’t, give yourself a heavy week every 1-2 months where you focus only on heavy lifting. The change in weight will help you break through a plateau, but also boost your gains beyond what they would be otherwise. Schedule this heavy week if your program doesn’t already have heavy lifting in it. Don’t leave it to a random week, make sure it happens in the time I suggested, and make sure you focus on the big lifts like squats and deadlifts, not just the lighter ones like curls or pushdowns. 5. Plateaus are busted more from eccentric training than concentric. Alterations in the eccentric contraction of a lift will result in more plateau-busting than changes in anything else. This is why with the PowerHowse Challenge, we go from a split that calls for slower eccentric cadences, to one with fast (not eccentric cadence at all) for the following phase. By avoiding plateaus, we’re guaranteeing success in our training because our gains literally never stop. This doesn’t mean that change our cadence (tempo) every time we’re in the gym. Our body will adapt to these demands as well. Predictable randomness isn’t randomness at all. Let your body get to the point where it’s almost adapting to the rep, set, and tempo’s you’re using in your training. This usually happens around week 4 or 5. Then change the cadence, rep, and sets you’re using. A good program will have these alterations take place in phases that change every 4-5 weeks. In the PowerHowse Challenge, the program that helped me gain 32 pounds of lean muscle in 32 weeks, we do this in a strategic and incredibly effective method; allowing for gains that include a pound of week for the entire 9 month training and nutrition program. To find out more about the PowerHowse Challenge, watch the video above about a few other tricks that will help you see the lean muscle gains you want to see, as fast as possible.